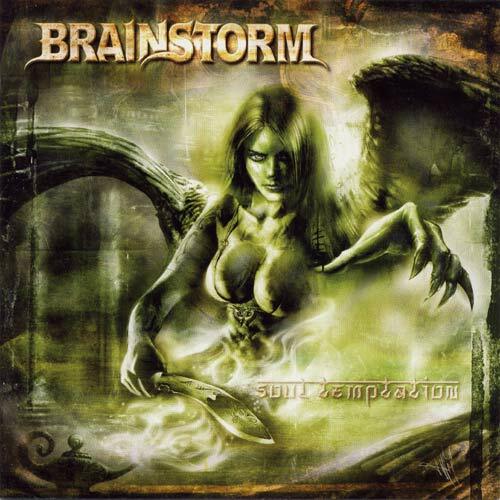 All songs written and arranged by Brainstorm. Design concept by Andy. B. Franck. Tracks 6 - 8 form the "Trinity of Lust" trilogy. 9. Under Lights (Metus Mortis / 2001). Japan release: includes "Metus Mortis" (intro) / "Blind Suffering" + "Crush Depth" (live at Summer Breeze) + "Don't Wait For Me" (Vicious Rumors cover) as bonus tracks. Limited edition came out in a transparent-orange jewel case. Mixed at House of Music. Drums & vocals engineered by Achim Köhler & Ingmar Schelzel at House of Music Studios Winterbach (D), March/April 2003. Guitars & bass engineered by Torsten Ihlenfeld & Milan Loncaric at Storm-Your-Brain-Studios Gerstetten (D), March 2003. Keyboards engineered at Gate Studios, Wolfsburg, April 2003 by Michael “Miro” Rodenberg.